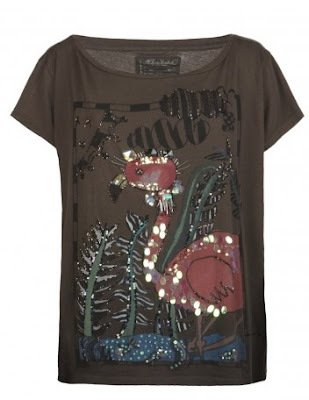 I like the almost children's book-esque flamingo print on the front of this tee, which comes on black, pink or beige. Plus - sparkles!! Buy at All Saints for $125.